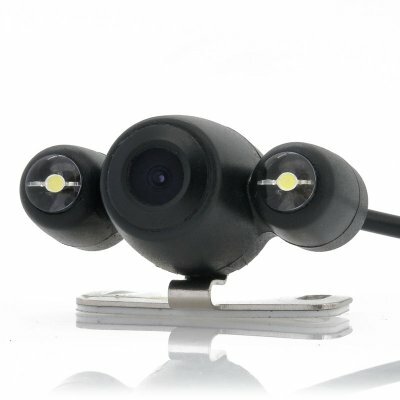 Successfully Added Wireless Rear View Car Camera - 2x LEDs, 170 Degree Wide Viewing Angle, Weatherproof to your Shopping Cart. Wireless Rear View Car Camera is a great way to see what is happen when you are backing up your vehicle as it has 2 LEDs, 170 Degree Wide Viewing Angle in addition to being Weatherproof. Take care of your vehicle and others when reversing with this Wireless Rear View Car Camera that comes with good abilities. Chinavasion has a solution and that is this rear car parking camera, which provides a wireless way to guarantee that these potential reversing disasters can be steer clear of. Installation is simple and this car camera comes with all the appropriate accessories for connecting, so after installing the camera in the rear you then connect the receiver to the front monitor. 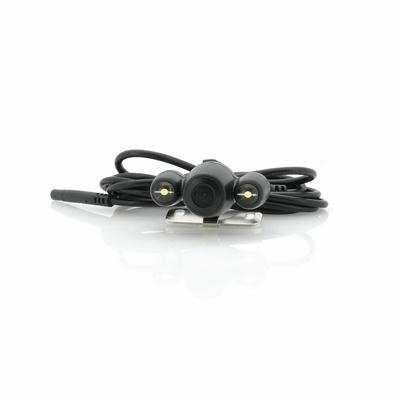 The benefit of this rear camera is that once the receiver and rear camera have a wireless connection by using a 2.4GHz transmitting frequency, there will be no cables needed going through the middle of the vehicle to link the camera with the monitor. Using PAL video systems, the footage that comes through is seen with a 420TVL resolution to ensure it is clear and of a respectable quality plus due to a 170 degree wide viewing angle offered by this camera, you will see a lot more things when backing up. There are also 2 built-in LED white lights to help you see when there is limited light present plus it is okay when the weather turns bad as it is weatherproof with an ingress protection rating of 45. This wireless rear view car camera is in stock and can be dispatched within one working day of ordering with a 12 month warranty. Brought to you by the leaders in wholesale electronics and rear view camera, Chinavasion. Great little camera, plugged straight in my monitor and away I went.